The basin should be installed at a height and position for convenient access by wheelchair users. 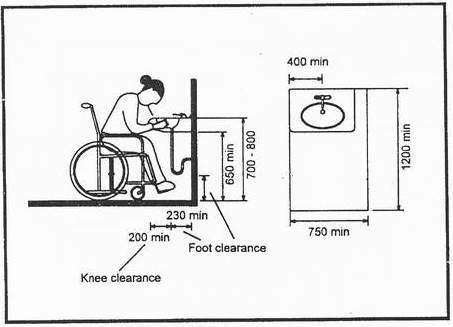 Sufficient clear space for wheelchair users should be provided in front or the basin. The mirror should be so installed as to permit its use by wheelchair users. Lever-type taps should be installed to wash basins.